Are you worried about how you’ll get through tomorrow, next week, or next year? 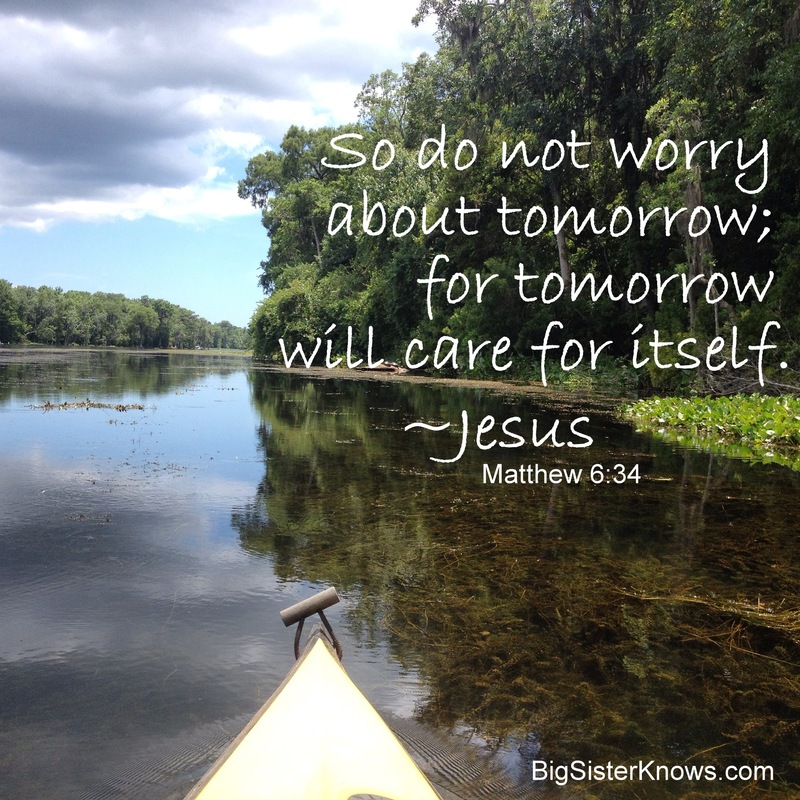 Like me, you may have peace that God’s grace is sufficient for today, but you can’t help but worry about the future. I wrote today’s blog, “Don’t Borrow Trouble,” a couple weeks ago. That was before I had to travel to Orange Park so my kitty, Sue, could have surgery. Thankfully, she’s doing very well, and I get to take her home today. But, I know worry; it comes in all shapes and sizes. However, no matter how big or how bad tomorrow looks, it never helps to worry about it today. My new friend Lindsey P. Brackett understands. She has a beautiful blog site, Just Write Life, where she writes about faith, life, writing, and all the beautiful and difficult things in between. Lindsey graciously agreed to host my blog this week, so click over to her site to read it: Don’t Borrow Trouble. While you’re there, check out her other posts and let her know you stopped by.